When the 33 racers of the 2019 Indianapolis 500 take to the track on May 26th, a new Chevrolet Grand Sport will lead the field. Chevrolet announced earlier this week that the Grand Sport will be the official pace car while the Stingray was chosen to be the festival car, marking the first time since 2007 that a Corvette was named the pace car and festival car. 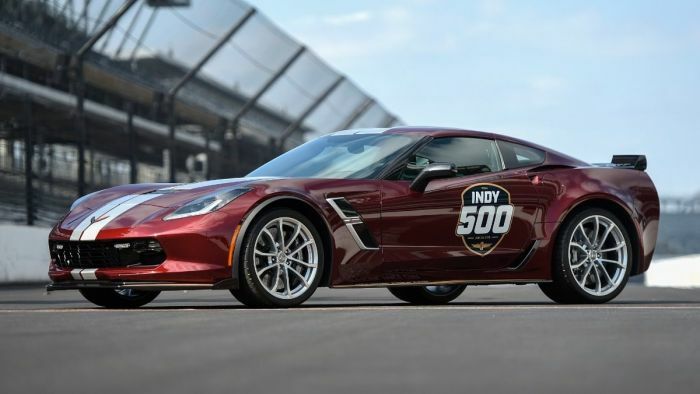 Of course, in addition to serving key purposes leading up to the race and on the day of the race, the 2019 Indy 500 Pace Car and festival cars are sure to inspire a new batch of unique collectable packages, with the 33 festival cars being sold at Indianapolis-area Chevy dealerships once the event is completed. As mentioned above, 2019 marks the third year in a row where a Corvette will serve as the Indy 500 pace car, with the Grand Sport being preceded by a ZR1 in 2018 and another Grand Sport in 2017. The C7 Corvette saw its first Indy pace car duty in 2013 while the current Z06 led the field in 2015, so in the seven years since the C7 Corvette was introduced, it has been the Indy 500 pace car five times. Overall, the Corvette has been the Indy 500 pace car 16 times since its first time back in 1978, while a Chevrolet product will have led the field 30 times when the 103rd running of the race takes place in May. In addition to providing the pace car for the race itself, Chevrolet will provide 33 identical Corvette Stingrays to serve as “festival cars”. These cars will be used by race and area VIPs leading up to race day and once the teams have moved onto the next race, those cars will be sold around the Indianapolis area. The 2019 Corvette Grand Sport that will lead the Indy 500 field is painted Long Beach Red Metallic Tintcoat with full length Racing Blade Silver Dual Stripes and the unique Indy 500 decals on the doors. Of course, the car is powered by the 460-horsepower LT1, mated to an 8-speed automatic transmission and other key options like the Magnetic Ride Control system, Brembo carbon ceramic brakes, the Carbon Flash painted ground effects package, Competition seats and the Performance Data Recorder system.